Hic iacet Arthurus, Rex quondam, Rexque futurus. 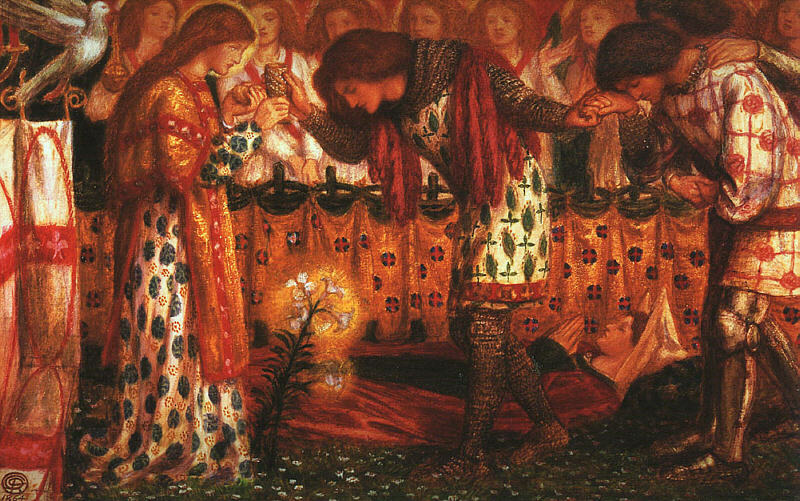 For countless ages, the legends surrounding King Arthur, his knights, and the quest for the Sangreal have enchanted a multitude of readers of British literature. 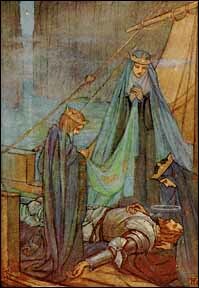 In fact, many of Britain's most famous works include discussions or references to Arthur (i.e., the Mabinogion, Tennyson's "Idylls of the King," and Malory's Le Morte Darthur). As a common work chosen for inclusion in high school literature texts, Le Morte Darthur offers teachers and students alike an opportunity to become immersed in fantastic literature dealing with some of the most interesting legends of the island kingdom of Great Britain. This page is my contribution to web resources about the legendary King Arthur. Hopefully, students and teachers alike will find a wealth of resources to enrich their study of King Arthur.